On the train down to D.C. this weekend I hung on every word of Ruth Reichl’s book Tender at the Bone. 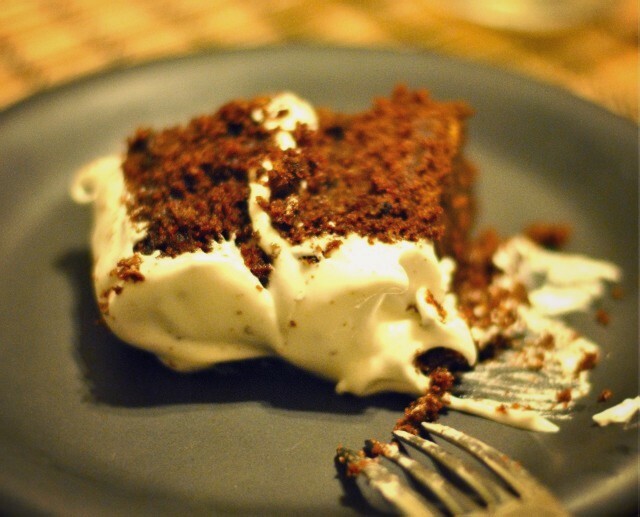 I savored the recipes and quickly settled on this classic from Ruth’s high school years: Devil’s Food Cake. That afternoon I immediately declared it my best ever– the batter was light, fluffy, and perfectly sweet. And it was the best.chocolate.cake.ever until I got too caught up in pre-dinner cocktail time and left it in the oven for three crucial minutes too long. But, that’s the thing about dinner parties with great people, no one seemed to mind. 1. Preheat oven to 350. Heat milk in a small pan until bubbles begin to appear around the edges. Remove from heat. 2. 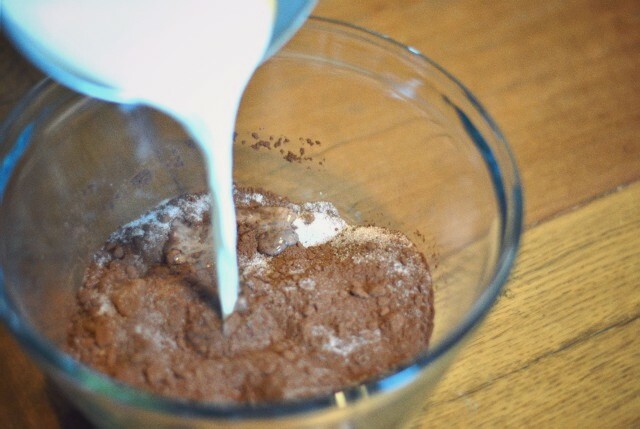 Mix cocoa and white sugar together in a small bowl and slowly beat in warm milk. Let cool. 3. Cream butter with the brown sugar. Beat in the eggs, sour cream, and vanilla. Add cocoa mixture. Mix remaining dry ingredients together and gently blend into butter mixture. Do not over beat. 4. 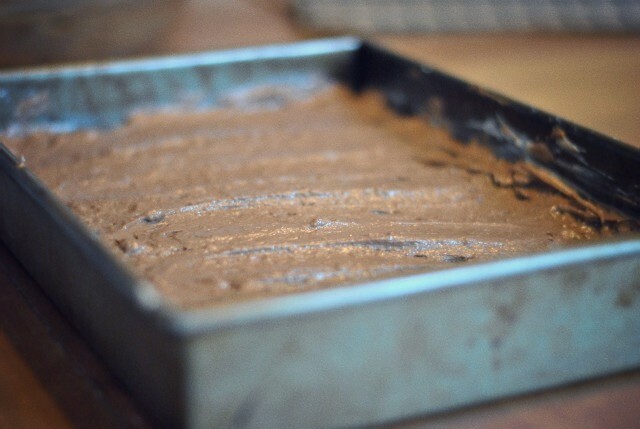 Turn into 2 well-greased and floured 9-inch layer cake pans and bake for 25 (NOT 28) minutes. Beat everything, except for the vanilla, with an electric mixer over a double broiler. 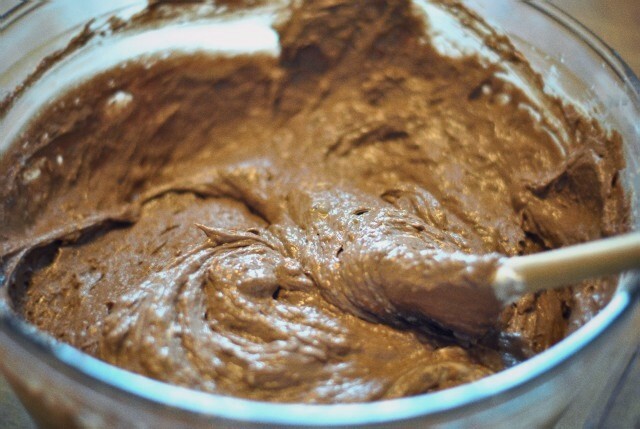 Once soft peaks form remove from heat, add the vanilla and beat until stiff enough to spread. Use immediately. 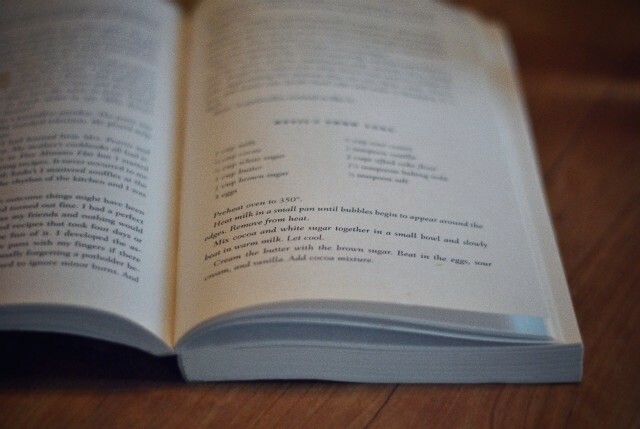 This entry was posted in Cooking and tagged Devil's food cake, Ruth Reichl's Tender at the Bone. Bookmark the permalink. I love Devil Food’s cake! Yum!